"It's a passion project, so I only write and record for it when I'm not busy with other work. That's why there are always long gaps between the albums," Tweaker mastermind Chris Vrenna tells Noisecreep. The multi-instrumentalist is referring to call the time eternity, Tweaker's upcoming album, and first in eight years. Throughout his colorful career, Vrenna, has left his stamp on modern rock as a member of Nine Inch Nails and Marilyn Manson, and he's also a sought-after producer and remix artist who has worked with the likes of U2, Rammstein, Slipknot, Guns N' Roses, and many others. "When you work with other people – no matter if it's producing a Marilyn Manson session or remixing a track – there is always someone else, like an A&R guy, giving their opinion on it. With Tweaker, it's all good. We get to do whatever we like and that's a nice change," says Vrenna, 45, who is joined by programmer/guitarist collaborator Jesse Hall on call the time eternity. 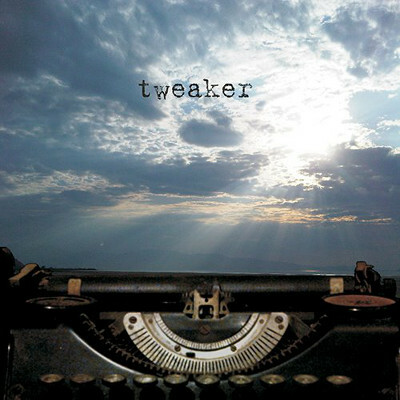 "I think this new Tweaker album hearkens back to the sound and feel of our first album [2001's The Attraction to All Things Uncertain] as opposed to our second one [2004's 2 a.m. wake up call], and this is also our saddest and most unhinged album [laughs]. Our fans come to Tweaker for a certain type of sound and it's always been like that. I wouldn't just start doing dubstep because it's big right now. In two years people will be asking, 'Do you guys remember dubstep?' That will happen." We guess there won't be a Tweaker/Skrillex collaboration track in the near future. Famous in musician circles for his hectic schedule, Vrenna found more time to work on Tweaker after leaving his position as the drummer in Marilyn Manson's touring band in late 2011. The Erie, Pa. native was an important member of the Manson world, also playing keyboards and co-producing 2009's The High End of Low album and this year's Born Villain. "It was 2004 and I just had finished a Tweaker tour when Marilyn's manager called me and asked if I wanted to fill in for their drummer [Ginger Fish], because he had injured himself after falling off his drum riser in Europe. They were promoting a Greatest Hits album [2004's Lest We Forget: The Best of] and needed me to start rehearsing with them right away and it went really well." After the Lest We Forget promotional run was over, Vrenna joined Gnarls Barkley as their touring drummer, but then came back to the Manson camp to play keyboards. Vrenna Noisecreep his relationship with Manson goes back awhile: "I first met him when I was in Nine Inch Nails, so it was around 1990. It was a lot of fun to work with him, but he likes to work in what I call "Manson time," which is nothing like most people work [laughs]. He likes to work through the night and sometimes he won't sleep for days. It just became too exhausting for me. I'm talking about the lifestyle and the whole thing around it, which he makes no bones about. If you're not careful, it can take a toll on you. After the mixing was done for the Born Villain album, I just kind have had it. I was mentally burnt out and just physically exhausted. I also felt like I had done all I could have done with them, artistically speaking, within the rules of what makes Marilyn Manson, Marilyn Manson. That's not a bad thing either, but I wanted to do other things." Vrenna says he still feels the effects of his stint in Manson's band: "It's been what, 8-9 months since I left the band? It took me 6 months to just be able to go to bed at a normal time. We would start working at 8PM at night, so it was like a autoworker working a third shift. I used to get excited when I would get home before the sun would rise. Just doing everyday stuff like going to the bank or doing your laundry was not easy during those years. But I wouldn't change it for anything." Tweaker's new album, call the time eternity, will hit stores on Oct. 23 via Metropolis Records. Pre-order the album at this link.